For over 6 years we were witnessing one of the most exciting, talked about and beneficial projects in the history of smartphones, led by the dominating companies in this space, Apple and Samsung. With the release of Apple’s new iPhone 7 on Wednesday, Sept 7, at 10am local time in San Francisco, we will see what Apple brings to the table and how its flagship device compares to Samsung’s Galaxy S7. 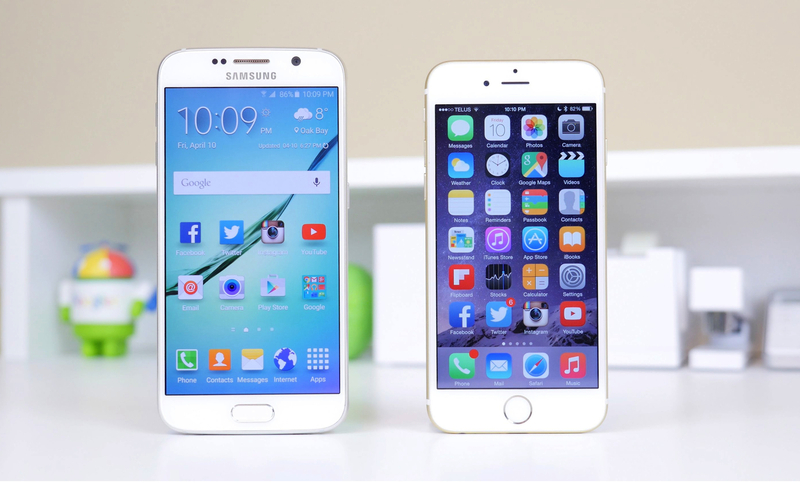 According to the latest data, gathered by Counterpoint Research, customers currently prefer Samsung’s flagship device over Apple’s iPhone 6s. This is reflected in Galaxy S Series sales figures: Samsung sold 5.3% more than Apple in the same time frame. Due to the increase in sales since March 2016, Samsung was able to reclaim the #1 spot in terms of overall smartphone market share in the US. This is an ongoing battle between Apple and Samsung, in April 2015 the iPhone 6 helped Apple reclaim the throne, which they were able to defend until March 2016. Slowing sales of the iPhone 6s and a growing anticipation for a new model left overall iPhone sales depressed. The final change came with the release of the Galaxy S7, its premium hardware and constantly evolving user experience of a Android-flavored Samsung, made it the #1 choice for customers in the US. Counterpoint Research further states that Samsung holds 28.8% of the market share, while Apple is a close second with 23%, followed by LG with 17.1%. See how the latest flagship devices compare in our product comparison. In anticipation of the new iPhone 7 we have prepared an all-time infographic about the evolution of both Apple’s iPhone and Samsung’s Galaxy S Series, summarizing the specs, innovations, technical difficulties, prices and release dates of the respective smartphone versions since 2010. A pure feature comparison between the two global leaders in the smartphone market is an ongoing debate. Apple fans are well known to be loyal defenders of the brand, vocal about the superior user experience, security features and its sleek design. To them Samsung phones are not even close. Yet, data speaks another language. Samsung fans have long been praising the better hardware, customized features of the smartphones operating system and unique features like waterproof designs (there are strong rumors that the iPhone 7 will be waterproof), which is reflected in sales numbers. As depicted in our infographic on the evolution of Samsung and Apple devices, the price range has changed a lot throughout the years. With the initial release of the Samsung Galaxy S back in 2010, Apple was clearly targeting high end users, Samsung’s approach to gain market share was through a competitive price point, offering a high end smartphone for a reasonable price. Things have changed quite a bit in the meantime however, with the last 3 iPhone releases Apple was always at least $100 below the competing Samsung Galaxy S model. “Samsung’s infringement harmed Apple by causing lost market share and lost downstream sales and by forcing Apple to compete against its own patented invention,” as reported by the Wall Street Journal. The battle between the smartphone leaders is still ongoing and incredibly costly–the two companies were involved in numerous lawsuit cases for over 5 years, causing billions of dollars in damages for both parties. Apple, as the leading innovator in the smartphone space, got a worthy rival with Samsung and their Galaxy S Series in the last years. Both companies were improving at an exceptional rate and invested vast amounts of money to gain the global lead in the smartphone market. Disproving a lot of haters, Samsung deservedly claimed the #1 spot. Is the Apple iPhone 7 going to change that? Let us know what you think in the comment section below.